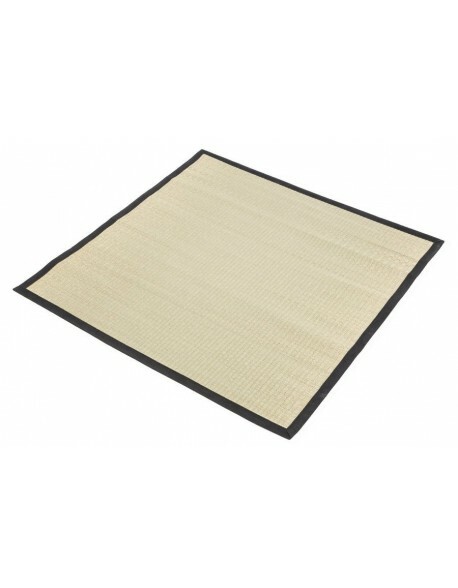 We just love these new tatami mats, they have all the look of a tradtional rice straw tatami but are softer to feel, much lighter to move around and filled with durable natural materials. 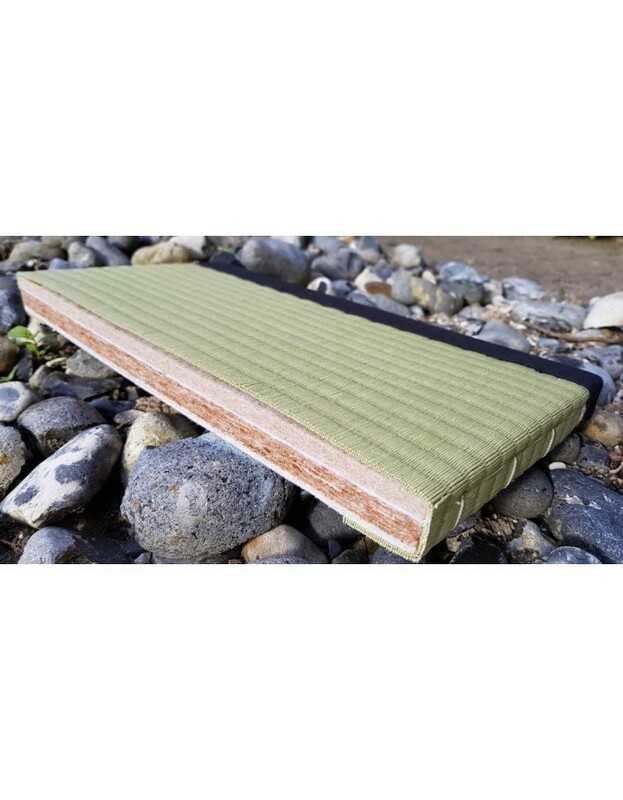 The basis of these tatami is an 18 mm layer of cocoloc, this is natural coconut hair fibers bonded together using natural latex rubber, from a rubberwood tree, then this is topped with a 10 mm layer of mixed cotton and linen giving a soft, flexible surface perfect for use as an exercise or bed mat. 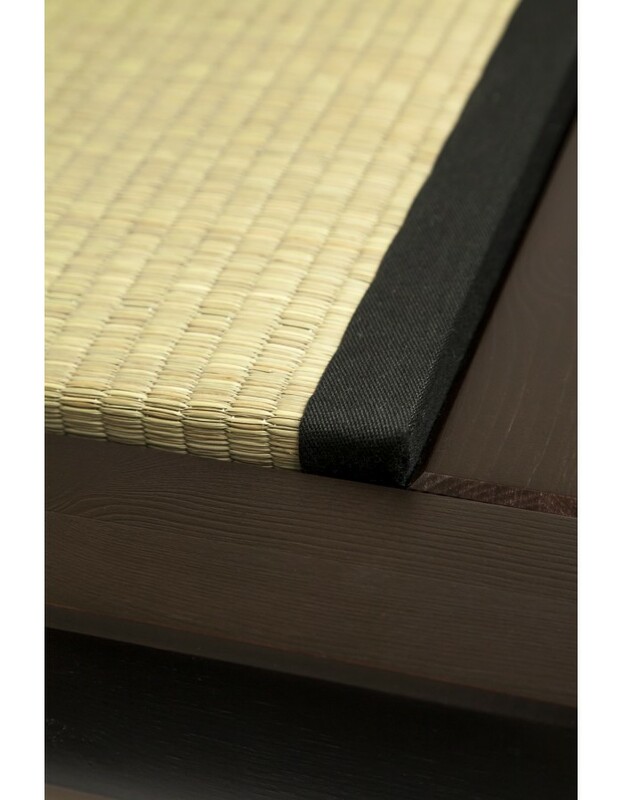 The mat is then covered in woven Igusa (soft rush) grass and edge bound with black canvas fabric to give it a traditional tatami look. 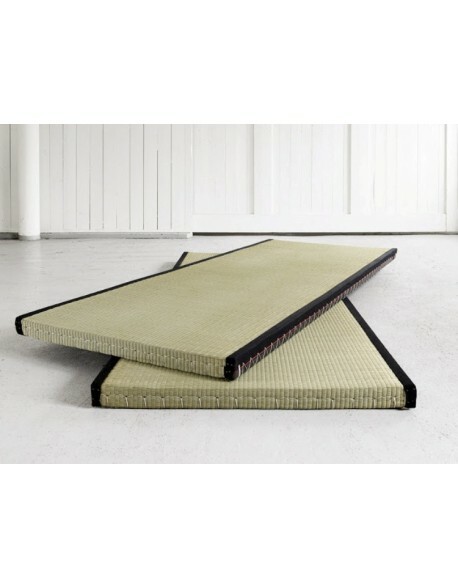 The Cocoloc Tatami is available in two sizes 70 x 200 x 3 cm or 90 x 200 x 3 cm, choose from the drop down menu, and will be delivered to you by parcel carrier on a pre-arranged weekday. If you have any questions on Tatami please feel free to call us on 01752 662030. 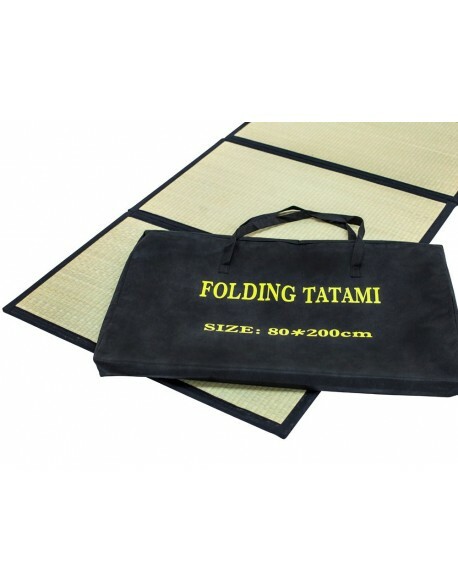 Please Note: the price is per tatami mat, i.e. for one mat. 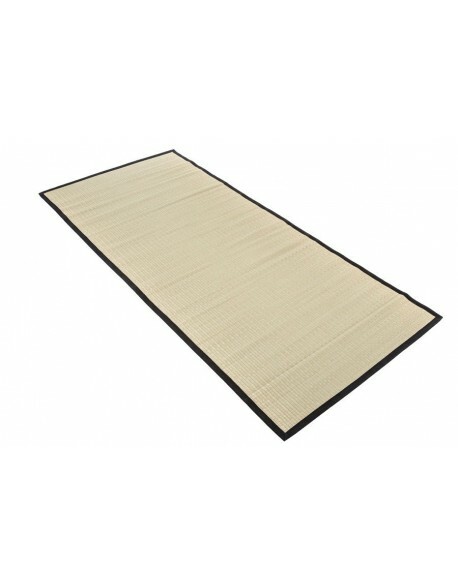 These tatami are available from stock. Compositions 18 mm layer of coconut hair bonded with natural latex rubber, a 10 mm layer of mixed cotton / linen plus covered in Igusa, soft rush, grass. Edged in a tough black cotton canvass. Delivered flatpacked? The tatami are ready to use out of the box. How long for delivery? 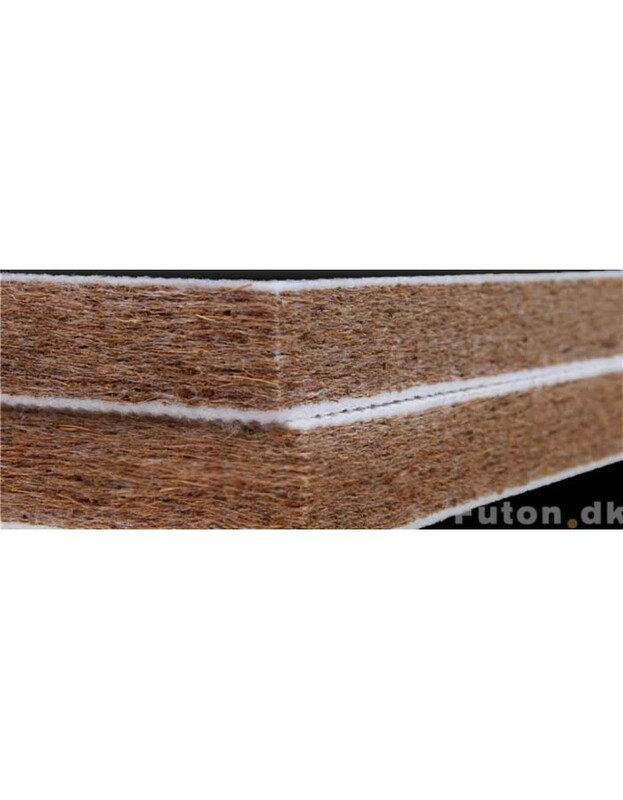 Available from stock for rapid delivery 4 to 7 days, please call if your requirement is urgent as we may be able to help. 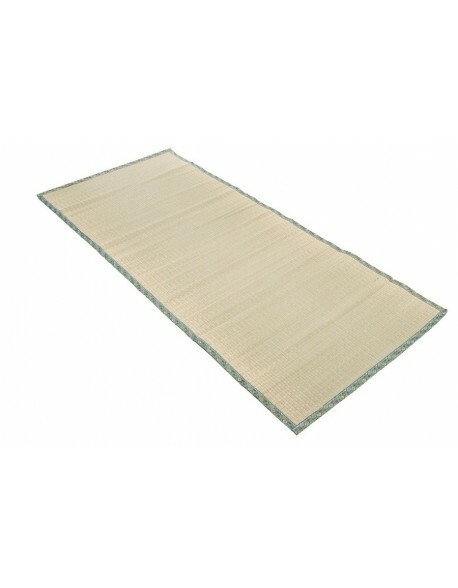 Recommended Use As an everydayt floor or bed mat, also perfect as an exercise or Yoga mat.